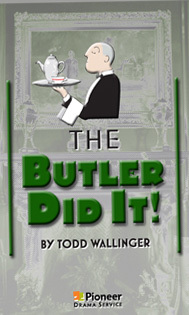 The Butler Did It! Or did he? There’s trouble at Bournsley Manor, situated on the moors of England. Trevor Barstow has been murder and he’s bleeding all over lady Miranda’s new kitchen tile. Quite ghastly! The Covington family, along with their servants and house guest, famous writer Edwina Corry are at odds as to whom the murder might be. Cut off from town by a washed out bridge, they set to the task of discovering the perpetrator. During the intermission opening night, the audience will be invited to determine who they think committed this dastardly deed! Prizes will be awarded following the performance. Please join the Saguache Community Players as they strive to solve the mystery of the murder Bournsley Manor. It will be produced at Mountain Valley School in Saguache on Friday, Apr. 7 and Saturday, Apr. 8 Both performances begin at 7 p.m. Admission is $5, children under seven are free. In other school news, Mountain Valley School is hosting its first Family Math Night on Thursday, Apr. 20. The event will be held from 5 – 7 p.m. in conjunction with the math night pizza party and is made possible with the support of a Saguache County Sales tax grant. High school students will be sharing the joy of math with younger children and local families through a varety of games and presentations. Please come and support the local students . . . and brush up on YOUR math skills! Here’s a video from Math Teacher Mrs. Garoutte about what else students and parents can expect a the first ever Family Math Night! You can count on a fun family night with food, games and pr izes! “Rogue One” Continues in Saguache This Weekend! It could be the perfect winter movie weekend, so if you haven’t seen the latest film from the Star Wars empire, you have another weekend to go “Rogue” in downtown Saguache. Rogue One: A Star Wars Story will be showing for a two weekend engagement: January 13 – 15, and January 20 – 22. The latest installment in the Star Wars series, Rogue One: A Star Wars Story is about former scientist Galen Erso who lives on a farm with his wife and young daughter Jyn. His peaceful existence comes crashing down when the evil Orson Krennic takes him away from his beloved family. Many years later, Galen is now the Empire’s lead engineer for the most powerful weapon in the galaxy, the Death Star. Knowing that her father holds the key to its destruction, a vengeful Jyn joins forces with a spy and other resistance fighters to steal the space station’s plans for the Rebel Alliance. Showtimes are Friday at 7 p.m., Saturday at 4 p.m. & 7 p.m.; and Sunday at 7 p.m.
Bravo! Community Theater is alive in Saguache Today. Photo: Lynn Nowiskee/Saguache Today. And as the summer heats up so will the group’s efforts in July as they present “Greater Tuna” an hilarious is two-man show starring Saguache locals Martin McKee and Julia Hammel. If you – or some other theatrical type you know – is interested in performing in any or all of these productions, please call Julia Hammel at 719-496-6528. 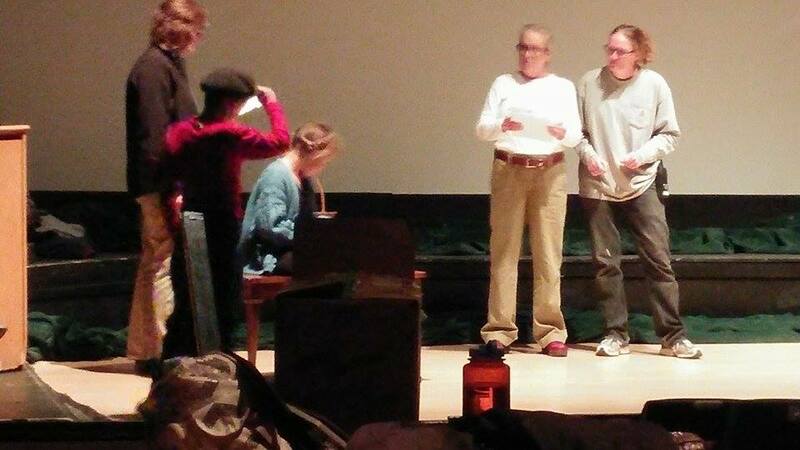 Everyone of all ages and talents are encouraged to become a part of this exciting and dynamic theater group in Saguache Today. Break A Leg!